First: sorry for my poor english (french mat). Lagg-3 with 37 mm canon. 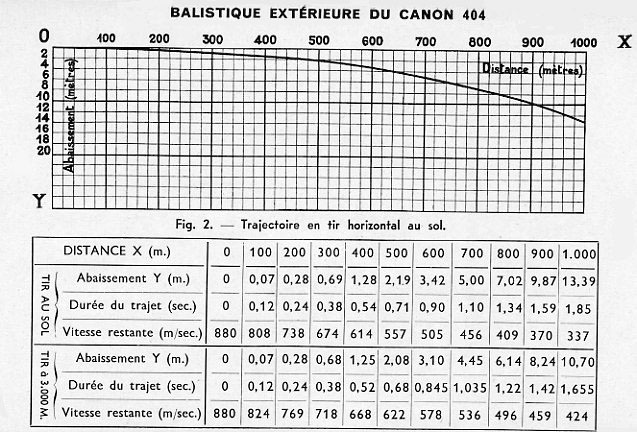 To try to less pollute the sky with 37 mm unexploded shells, I look for a diagram, or any useful information, on the ballistics of the 37 mm shell. Would any one have any such information? I don't have figures but remember that if you set your convergence to 500m and the guns are on the wings then the cannon shell would not follow the path shown in that diagram. The guns would point slightly upwards so the shell went up at first and then dropped down to cross your gunsight 500m away. This is why when you have your convergence set far away and find yourself very close behind an enemy then you may need to aim below the target to hit it. Thank you for your answer : I agree with what you say. The trajectory of the shell is parabolic. The shell rises several tens of centimeters to "fall back" on the target at the set convergence distance. For the 20 mm Hispano, we see that the shell must first mount 1.28 meters to hit the bomber at a distance of 500m (first diagram). For the heavy shell of 37 mm, it will be logically much higher. (EDIT: error because the shell of 37 mm has a speed at the exit of the gun of 890 m / s and that of the 20 mm Hispano between 600 and 750 according to the versions cf: http://users.telenet.be/Emmanuel.Gustin/fgun/fgun-pe.html). I have a convergence of 250 m.
I want to shoot at 500m bombers with the 37mm Lagg-3 gun. What will be the loss of height of the shell between its passage to 250 m and its hit on the bombers to 500 m? Which aim should be applied in the PBP-1 gunsight? How much more mils up? I think convergence setting in game is also 'vertical convergence' so set 500m ? For the heavy shell of 37 mm, it will be logically much higher. Why? (The bold part). I believe the NS-37 had about the same MV as the 20mm H-S, (actually about 20m/s higher for the NS, according to the wiki numbers), plus a much heavier shell (cannot find the number). Unless the shell's aerodynamics are really horrible it should have a flatter trajectory than the H-S for both reasons. I would think that you would have to pitch the shell up a little less to hit at 500m, if anything. As a starting point I would just assume that they need the same aim offset and observe results. Yes Darkpilot, it's true. It is a good idea to simply adjust convergence to 500 meter . But (new problem): On the other hand on closer shots (approach with AOT, for example at 200 m) it will be necessary to aim under the bomber. But by how much ? Unreasonable: You put us on the right track certainly . Surprising for me (not a weapons specialist): the 37 mm shell has a gun output high speed of 890 m / s and the 20 mm Hispano only between 600 and 750 m/s depending on the versions. If we do not take aerodynamic brakes on the shell, the trajectory must be logically flatter, as you say, than that of the 20 mm Hispano, and even that of the common Russian gun ShVAK 20 mm (Muzzle Velocity 750 -770 m / s). Perhaps then we can say: To simplify the setting of his shot especially at long distance can be approximated aim / shoot as with a 20 MM. Neurons start to smoke ...............Rest required . Glad to see you are solving your problem! The thing about the NS-37 is that it was designed to be an anti-armour weapon. To penetrate armour with an AP shell you have to have a high MV (to get a high impact velocity). Something like the 30mm MK 108 was designed to attack bombers with special HE shells - so it did not need a high MV: just high enough to make aiming just about possible. To get a high MV the cartridge has to have more propellant, the barrel longer, the whole gun and mounting stronger - all of this adds weight, not good for a fighter, but essential for small caliber AT weapons. Good to get the small points right. And I should have said that the original idea was based on the 61-K which is an AA design not an AT design - but both AA and AT need high MV to be effective, hence you see ground AA guns able to be used in the AT role with solid shot. So even the version made lighter to fit in a fighter still has a comparatively high MV for a fighter mounted cannon. "It is a small point but ( ) ". Historical precision is of course always welcome. It can be seen that the high velocity of the shell on the Sh-37 is the same as on the NS-37: 900 m / s.
A little late to this party but I have been chatting with a friend who is former Curator for RAF Museum. Here are some bits of information I'd like to share with the community on the topic of WWII aircraft armament.  With regard to British air armament, in WW2……. 2. ‘Bigger is Better’ — A late-War version of the Spitfire (the Mk XVIe) carried 2 x Hispano cannon and 2 x .5 Brownings (oddly the lighter weapon INBOARD of the cannon, due to ammunition space requirements). A special version of the Hurricane, the IId, carried a pair of .303s for aiming purposes, and 2 x Vickers 40mm cannon in pods under the wings. They were fairly effective tank-busters in the hands of No 6 Squadron in the Western Desert fighting. 4. ‘Try to Build a Better Mousetrap’ — Realising that the Lewis gun couldn’t produce enough hits vs ‘time on target’, the Vickers ‘K’ Gun (a.k.a VGO — Vickers Gas Operated machine gun) was issued as a much faster firing ‘free gun’ to some observers/air gunners/WOPAG’s on such diverse aircraft as the Fairey Battle (awful) and the Short Sunderland (magnificent). Later adopted by British Army Special Forces, but that’s another story. 5. ‘Buy an Upgrade’ — The brutish ‘fly through a brick wall’ Bristol Beaufighter carried 4 x 20mm cannon PLUS 6 x .303 Brownings in the British version, but 4 x .20mm cannon and four .5 Brownings in the Australian-built examples. Heck of a punch for the Battle of the Bismark Sea. 6. ‘If You Don’t Like Chocolate Ice Cream, Buy Vanilla’ — The British Purchasing Commission bought masses of aircraft from the USA during the dark days of WW2, prior to FDR’s Lend-Lease Bill saving our bacon (all our gold was in Fort Knox, the company I was going to work for had to sell it’s US subsidiary, etc, etc) Some worked out others — not so much. One of the top fighter Squadron in the Battle of Britain (No 601Sqn) were issued with the Bell Airacobra I (US = P-400). The aircraft had a terrible performance at the usual mid-high altitudes at which ETO fighter combat took place, and the 37mm cannon was removed and a 20mm cannon fitted. It was still not combat worthy. The piece of film you can see is extremely rare, and 601 pleaded to be re-equipped shortly thereafter, ‘Can I have my Spitfire back, please?’. The Grumman Martlet I (a.k.a Wildcat) was assigned to the Order of Battle of prior to October 31 (the official end of the action) whilst being flown by the Fleet Air Arm units in Scotland. A minor role, but it was there! 10 ‘Go Big, or Go Home’ — My favorite, of course, is the incredibly rare (just 27 examples) Mosquito FB.XVIII. 4 x .303 Brownings plus the HUGE 57mm (a.k.a. ‘6 Pounder’ — probably with fries) Yes, the B-25H had a 75mm, but, it was manually loaded, whereas the British cannon had the famous Molins auto-feed, which fired a round every 1.1 seconds, so the ‘weight of shot’ was much higher than the 75mm. It was used mostly against U-Boats, but Squadron Leader Phillips macerated a Junkers 88 fighter that tried to tangle with him. What was left of the 88 — after a burst of 4 shots — fell into the Bay of Biscay. There that’s bored the pants off everyone! Cheers, and thanks for remembering the Royal Air Forces 100th Birthday, this month!